So a couple of weeks ago we had a look at Arkham Knight being pulled from the PC shelves due to a number of issues with the port from the next gen consoles. At that point we didn't think that we would get the chance to review the final installment in the Arkham trilogy, however fate intervened and we got the chance to play the game in the format it was clearly designed for. Once we finally got the game started up we were plunged straight into the gritty world that we would be calling home for the next few gaming hours. As the credits roll you take on the role of one of Gotham's finest but all is not as it seems. Scarecrow strikes fear into the heart of Gotham by turning a diner into a scene from every zombie apocalypse movie since time began. If you take a closer look around the diner, before everything goes to hell, you will spot a couple of items that hint at what is to follow, such as a missing poster next to the waitress taking your order. The other thing you will notice is just how far the graphics have come on with this series and the move onto the new PlayStation 4 console. The experience really benefits from the new graphics as the world of Gotham sinks to new depths of depravity and these are fully realised on the new system. Let's face it, Scarecrow would not look quite so terrifying if his mask wasn't quite so freeflowing and realistic. On the topic of Scarecrow, all of your old favourites make an appearance in this game. Yes ALL of them! I won't ruin any of the surprises the game manages to spring on you but it is great to see all of the best characters from the Batman comics make an appearance in the game, giving it the final send off it deserves. On this note the developers have also managed to pay homage to a lot of the rich tapestry that is the Batman comics. Whether that is a poster for the "Flying Graysons" or a flashback to the quintessential scene of The Killing Joke. It's all there. Unfortunately, while the big villains are fully realised in the game I did find myself getting bored as I mashed the square and triangle buttons plowing my way through hordes of thugs and soldiers. Yes there is some scaling and some of the generic neighbourhood thugs develop a bit more of a backbone, but all this means is that you have to hit the circle button before you start mashing square again. At times I felt that Arkham Knight could have benefited from the concept that less really can be more. Detective mode is back again and you do get the feeling that you are becoming the Batman as you use all the cool tech provided to you by Lucius Fox. Reconstructing crime scenes, investigating the evidence in detail with the scanner, it all reminds you that Batman is involved in investigating crime as a means of stopping it rather than just beating his way to a guy with answers. One of the big additions to this game comes in the tech department as well. The Batmobile, although I quickly found myself wanting to have access to the Batwing when it shows up. 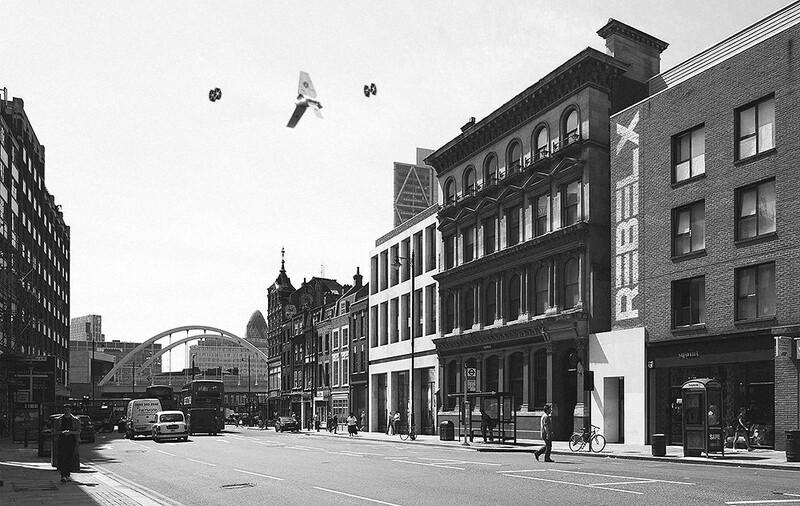 I mean really, who wants to drive around Gotham when you could be flying? A number of outlets have mentioned the fact that at times it feels like the Batmobile is shoehorned into more of the game than it needs to be just so that it can be shown off. Maybe at times they are right but I did love racing around the city in that car and using battle mode to take on some of the big nasties. The Batmobile itself is sleek and cool, and it feels like something you would see Batman racing about in during a Christopher Nolan film, not the cheesy old Tim Burton Batmobile. It packs a punch and can also be upgraded like any other part of Batman's equipment. Perhaps it is tech like this that makes Batman feel he can take on everyone in Gotham on his own, but this does sideline a number of cool sidekicks. It also meant that, as a player, you miss out on a lot of cool fights where you would love to have Nightwing, Robin or Catwoman alongside you. It's always Batman vs The World, and I did find this a bit grating. Yes, he doesn't want to be responsible for anyone dying but there is only so much you can do on your own and the whole point of characters like Nightwing and Robin is that you have someone there to help you along. And it is on the side quests that you run into most of these characters. There are two sides of the coin when it comes to side quests. On one side they are great for those gamers who love to 100% a game. There are lots of side quests and lots of rewards if you are willing to dedicate the time to completing them. But this is also the downside to them, because you have to dedicate time to them they can pull you out of the story that the game is trying to weave. For a gamer like me, who loves the narrative side of games, this completely pulls you out of the game and shatters the experience it is trying to create. 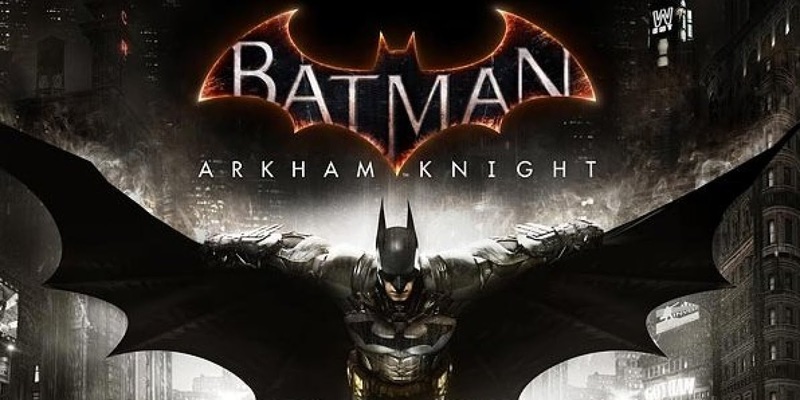 While I can appreciate all the bonuses you receive for completing these quests the main story has a sense of urgency about it and if you are off solving a puzzle set by the Riddler, where you have to balance the Batmobile on a ledge to activate the puzzle end game, that sense of urgency disappears. 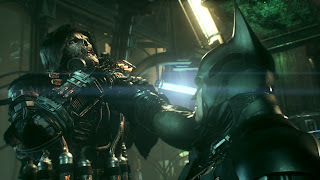 You don't care about stopping Scarecrow and the Arkham Knight because you are too preoccupied with the fact that despite your best efforts the Batmobile won't balance on the button and for whatever reason you just can't reach that final ledge, and you end up dying in some stupid attempt at reaching that ledge just so that you can shut the Riddler up. But dying isn't always a bad thing, and after one character shows up pointing a gun at your head some of the clips played after you die are simply hilarious. I honestly found myself laughing out loud at some of them as they were sharp, sarcastic and over so quickly you were left wanting more. Although if you end up dying and the Arkham Knight shows up to taunt you I would recommend pressing the mute button. Seriously the guy just likes to whine and whine and whine, even Scarecrow sounds like he is getting tired of him before the game really gets going. All in all Arkham Knight is a great way to wrap up the series. Sure it isn't perfect and some gamers will have had their experience completely ruined by the fact that the PC version of the game was so below par even Tiger Woods was getting a better score than it, but it is a good game. 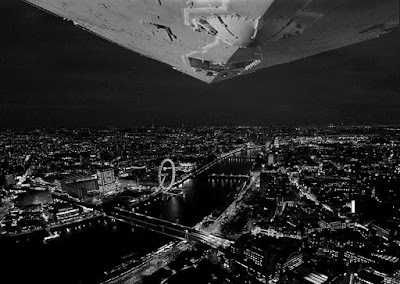 You have a fully realised Gotham to explore, I know there are whole areas I am yet to discover. The side quests also unlock a lot of background information and trivia that any long time fans of Batman will love to read up on, but completing them all does take you away from the storyline and this is a bit of a drawback. A bit less fighting with the lackies would have been welcomed by me but you do need to have something going one while you make your way around Gotham. The Batmobile makes a welcome appearance to the series and you are left wondering why it took so long for Lucius to send it out and almost as soon as you do have it you are left wondering why he isn't letting you take the Batwing out for a spin. Some people may feel that there is too much of the batmobile in the game but you won't count me among them, it's a great addition and it isn't really overused. I don't want to be gliding from point A to point B when I can drive around and blast petty criminals with an immobiliser (yes Batman still sticks to his rule of not killing anyone, they even manage to survive being hit by the Batmobile with the afterburners on!). So this is Bob, I first intended to do this post for #WIPWednesday however real life came up and threw me a curveball and this is now 3 days late. I don't intend to go into much detail regarding this, basically it won't be a painting guide (I may do one of those later), it is just to quickly go over painting the model. At first I really thought I wouldn't like these models, they were too 40k, not enough of the fantasy I knew and felt that GW were betraying their heritage. Basically I had turned into an internet troll, but I have managed to get past that stage without burning my whole collection. Now I have to admit that I think some of these new models look really cool, and that they won't just form part of my Blood Angels army, although that could look quite cool as well. They may not form my main army but they will be fun to paint and display. I chose not to use the new paints from GW, partly due to price but also due to the fact that I didn't want to wait until today to get the chance to paint my new model. 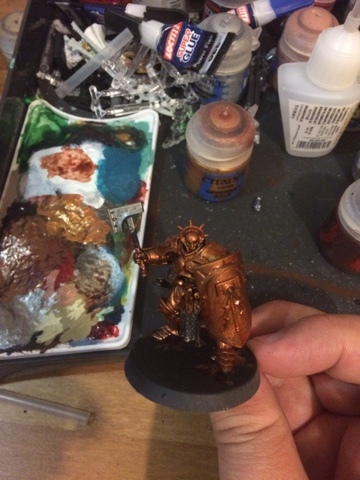 Originally I base coated the armour with Balthasar Gold and tried to follow the GW White Dwarf guide for painting the model but it didn't really give me the affect I was after. 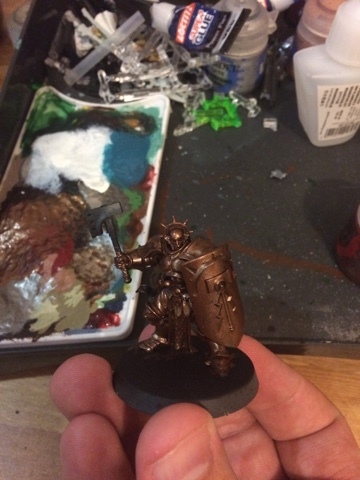 Instead I moved away from the Reikland Fleshshade and switch to my favourite shade, Agrax Earthshade. Seriously, Agrax has made my models look awesome more often than I care to remember, if I ever hear that GW are replacing it I will have to buy up all the pots of it in my local area! 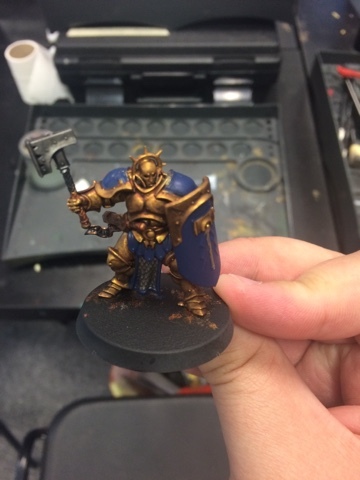 For the blue shield and shoulder pads Kantor Blue is great, and then you can use Teclis blue for the edge painting, as GW suggest. The little details on the model really do benefit from the edge painting, it makes the White Scar really pop on the model and adds depth to the blue which otherwise could look quite flat and boring. I just want to finish this off by saying please don't write off the Age of Sigmar release because of the internet trolls who feel that they need to criticise every small part of the game. Yes there are some silly parts, there are some oversimplifications and there are some errors of judgement. But every game has these. It is the community that makes or breaks a game, we can take this average game and make it into something fun and special. Give Age of Sigmar a go, don't expect it to be Warhammer Fantasy 8th Edition, just go out and have fun with some good friends and it may just surprise you. I'm going to start with an assumption here, everyone reading this review probably dreamed of "locking S-Foils in attack position" as a kid. You probably played the original X Wing, maybe TIE Fighter, X Wing vs TIE fighter or even X Wing Alliance (blowing up the Second Death Star at the end of this one was a great climax for the end of the campaign). I will also assume that you collected the old Micro Machines Star Wars models. Spending many hours in your room choreographing great space battles where heroes of the Rebellion and the Empire clashed in epic stories from your imagination. Unfortunately, as the years pass by there has been no new X Wing game on PC, Micro Machines has ceased to exist and our creativity has been curtailed by the mundane tasks of a 9-5 working day. But I am here to tell you that salvation is at hand! And it comes in the form of Fantasy Flight's ("FF") X-Wing Miniatures game. The system is easy to pick up and play, and you can add complexities as you go along, and it also combines the best parts of the games mentioned earlier (OK, maybe the combat isn't quite as good as the PC games). You can collect the miniatures from FF much like your old Micro Machine models and the game system allows you to plot out those epic, tactical space battles of your childhood once more. Everything you need to get started comes in a reasonably priced set (between GBP 20 - 30 depending on where you shop) that doesn't take up as much room as some other starter sets out on the market (looking at you GW and Age of Sigmar). One criticism I have of the X-Wing starter set is that I feel FF could have included more than 3 models, yes the 3 models work perfectly well for the quick start game but you will want to move onto bigger battles very quickly. To accomplish this I found myself picking up a second starter set, this gives you more dice, more markers and more movement templates as well as 3 extra models. Obviously FF want you to buy their expansion sets to develop your game but a little bit more in the starter set would not have gone amiss. When you open up the starter set you find that everything is neatly set out for you. The cardboard templates and tokens are sturdy although I can see many players moving onto plastic templates as their cardboard ones wear out. Fantasy Flight also provide a catalog of their other products in the set, but this doesn't feel intrusive, I found myself flicking through it after my first game and finding a number of other systems that appeal to me. There are two sets of rules provided in the box. A simpler quick start guide that gets you straight into the action providing you with the basics and decently sized rulebook for the more advanced game that you will move onto. Unlike most tabletop games the rules for this system are succinctly laid out and you won't spend hours flicking through pages just so that you can get a simple game going with friends or family. You receive 3 attack and 3 defence dice which are the bare minimum for the game, this is another good reason to pick up a second starter set. You can also pick up more dice from FF or one of their chosen retailers. The dice themselves are D8s that are unique to this system (or at least unique to FF systems) so you won't be able to make do with a regular D6. Saying that, using these dice is a lot simpler than rolling D6 in a system such as 40k, for X-Wing you both roll the required number of dice and compare your results straight up (in the quick start game, the regular game does allow you to play modifiers), no tables, no to hit and then to wound rolls, just roll your dice compare the results and deal out the damage. Simples. I briefly mentioned about that you can play modifiers which affect the number of dice you roll. Mainly these come in the form of cards, to be more specific pilot and upgrade cards, and they do exactly what they say "on the tin". For each model you can pick a particular pilot, these pilots have a points value, which allows you to keep the game balance, and also list the upgrades that they allow you to take. Pilots can add a different bonus to their craft in terms of actions and upgrades that they can take. Upgrades come in the form of crew, secondary weapons and pilot upgrades. Each of these will have a particular points value and count towards your final force total. You will, eventually, end up building a very small but specialised force or a larger but more basic force and each has it's own merits and play styles. Unlike other games there is a balanced game in here and you very rarely end up facing some sort of "deathstar" (the irony) list. The models themselves do feel a bit delicate, but if you take good care of them then they should last you for a long time. I must also praise FF for the level of detail they have put into the models. Each one is lovingly detailed and I must reserve particular praise for the TIE Fighters which I felt were just slightly more impressive than the X-Wing model. If they put this level of detail into the models in the starter sets I can't wait to see the level of detail in the expansion sets. Each model comes pre-painted but you can add your own paint scheme if you wish. Honestly, I could not see myself doing a better job so I doubt I will repaint my models. So, with the starter set itself out of the way, let's move onto the game itself. As I mentioned there are two sets of rules in the starter set, the main rules and a simpler quick start set of rules, and I will try to run through these concurrently. In truth the quick start rules will only be used one or twice as an introduction to the game and you will move on to the full ruleset very quickly. In the full rules you will find that there are four phases. Planning, Activation, Combat and End. In the quick start rules the planning, activation and combat phases are simplified. The planning phase involves each player secretly picking a particular movement for their ships to make. 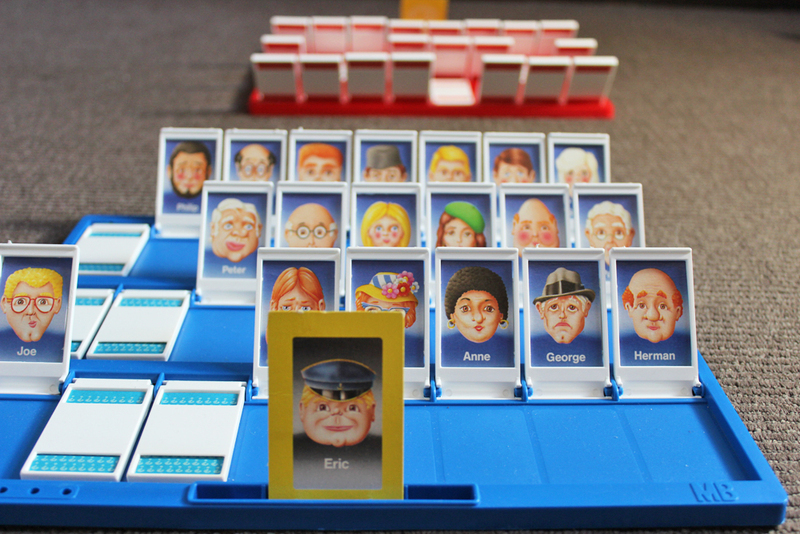 Each choice comes with a differing level of difficult, from green (easy) to white (normal) to red (difficult), although this is ignored in the quick start game. The level of difficulty that your movement requires directly impacts the activation stage, white movements have no affect, while red movements add a stress token and green movements remove a stress token. If any ship has a stress token then it is not allowed to take a further action in the activation stage. You activate your ships in ascending order of your pilots' skill. Therefore your academy pilots get to move first working all the way to your unique characters who move last. While the quick start game does not have any additional actions, in the regular game each pilot/ship can take an action as long as they aren't stressed, as mentioned previously. These actions are detailed on the pilot's information card and will be a choice of barrel roll, evade, focus or target lock. The barrel roll is the only one that does not have a direct effect on the combat phase, simply moving your position on the board slightly. Evade actions help improve your defence while focus and target lock improve your damage output but as you can only choose one action for each ship you have to carefully pick what you would like each to do. Once you move on to the combat phase you then activate your ships in descending order of pilot skills, so your characters will go first and the academy pilots will go last, if the skill levels are tied then the Imperials will usually go first as they have initiative, although particular missions may give the Rebels the initiative. The quick start game does this slightly differently to make the game a bit easier, keeping the activation in the same order as the movement phase. Additionally, the quick start game treats all damage the same, whereas the full ruleset has different outcomes for damage and critical damage. Regular damage just knocks either a hull point or shield point off your model, but a critical damage roll can have more dire consequences such as additional damage or wiping out some of those extra upgrades you paid for. Ships with shields stand a better chance of avoiding critical damage early on as their shields cancel out the critical effects, although you still lose a shield point as though it was a hull point. Once your shields are knocked out then your ship is just as delicate as those without shields so be wary and make sure to take care in combat, carelessness costs lives ;). The final phase of the game turn is the End phase. In this phase you simply total up what happened in the previous phases and see if anyone has met their required victory conditions. For the quick start game this is a case of seeing if one side has lost all of it's models, but the full ruleset has different mission objectives for whichever scenario you are playing out. Because the rules are not overly complex you can get a decent sized game completed in a relatively short period of time. Also, because you are working through each phase together there isn't time for one player to get bored while the other takes all their actions. The game itself is well balanced and because it has such a captivating subject matter it is likely to hold it's appeal with gamers. Also, while the game states it is only for two players it could easily be expanded to more players working on two teams. With the release of the "Scum and Villainy" force you could even expand the game to three teams although I would need to test it out to see if this works. In conclusion, this game system has the potential to have a long lifespan, appealing to gamers of all age groups, you don't even have to be a fan of Star Wars to enjoy it although that certainly helps. If there is one criticism from me that is the fact that the starter set could probably use some more models and dice, but for the relatively low price of the starter set this isn't a major qualm and you can pick up two starter sets for less than you would pay for one starter set in other gaming systems. The quality of the models is second to none and, while they are a bit more flimsy than perhaps I would like, the quality of the painting really brings the models to life. I cannot wait to expand my collection of models and start working on new dangerous squadrons to take to the skies of the Star Wars universe. Thank you Fantasy Flight! The guys and girls over at The Creative Assembly have been busy this week. We got our first look at the Demigryph Knights, the finest knights in The Empire, and tomorrow we will get our first look at the in-game engine. While the Demigryph Knights are really cool I have never been much of an Empire player and therefore they may not excite me as much as some of the other players eagerly awaiting this game. The in-game trailer promises to introduce us to the legendary Karl Franz and I am interested to see how they bring the characters to life on the PC screen. A lot of their character on the tabletop comes from the imagination of the players, so giving them the freedom to live and move on screen is a bit of a gamble. Some of the magic of the players imagination will be lost in transition but I have faith in the team that brought us so many great strategy titles to do a good job. 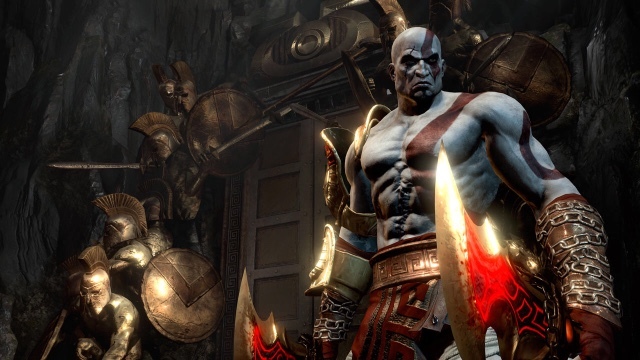 Kratos returns to our screens in God of War 3 Remastered, but really he could have just stayed at home. 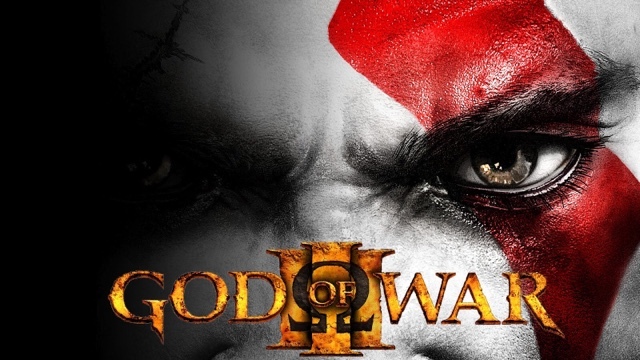 Unlike the Master Chief Collection on Xbox One, or even the upcoming Uncharted collection, we are only deemed worthy of one God of War game. Don't get me wrong, God of War 3 is a great game, but if you are going to release a remastered game then you might as well give it everything you've got. Unfortunately this hasn't happened here. The improvement in graphics is negligible and this is made to look worse with great titles such as The Witcher 3 flowing over the air waves. Limiting the release to only one game also leaves you feeling short changed, especially as earlier games would probably have benefited more from the graphics boost. If you are paying around GBP 30 for a game you want to get your money's worth. 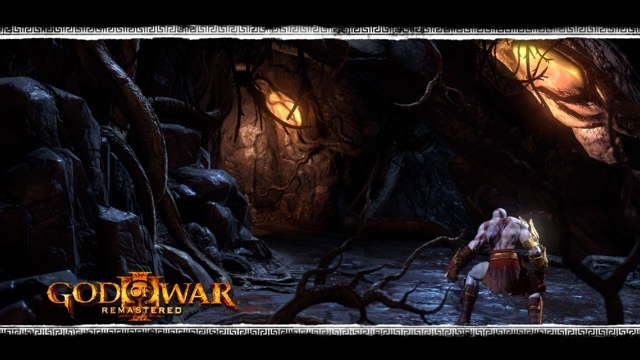 There's no extra content from what we have seen so you will be walking down the same paths you covered on PS3. One addition is the ability to take photos in the 1080p resolution but as most gamers will be more preoccupied with playing the game this does feel like a bit of a bolt on to make you think you are getting something for nothing. As the trailer closes out Kratos swears he will have his revenge, but I can't tell if he's referring to the game or the producers that have besmirched his name. 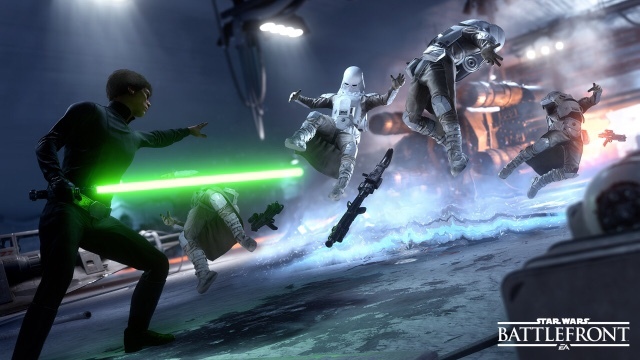 So EA have announced that Star Wars Battlefront will not include a split screen co-op mode on PC. Although next gen console versions will. Honestly, I think this makes sense, most computer monitors aren't as big as your TV screen so you would really need two monitors for a split screen mode to be effective. But that doesn't stop it feeling like a slap in the face to all the gamers who wanted to play this title on PC. 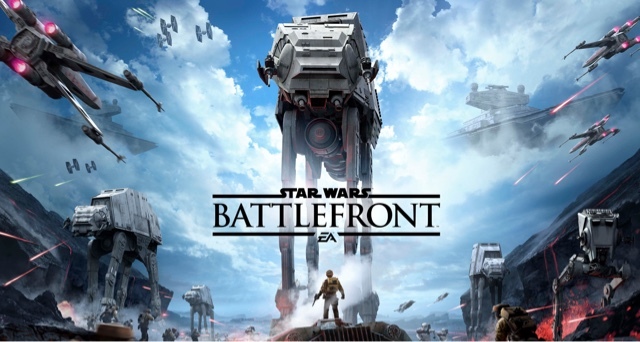 Battlefront games rely on the multiplayer offering to really draw the fans in and a co-op mode, hanging out with your friends having some fun, would seem like one of those items you just have to include in a title like this. If you want to play co-op with friends you will have to shell out a bit extra for a console copy and make sure your online subscription is up to date! Perhaps the experience was even more intense for me as it was a surprise organised by my fiancee and I only found out as we arrived at the train station for our designated rendezvous. We quickly changed into costume, cleverly concealed by the aforementioned fiancee, and we were whisked away by a member of the Alliance. It is at this point that I will warn you there may be SPOILERS ahead, I will do my best to avoid them but sometimes there may be an item or two that slips through without me realising. 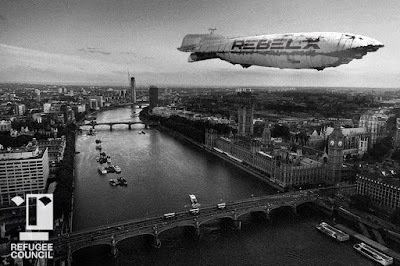 Rebel X gives everyone the opportunity to live out their childhood fantasy, you get to become a member of the Rebel Alliance for the night. If this was not your childhood fantasy then you didn't live, unless you dreamed of being part of the Empire in which case you may have had a very warped childhood. From the moment you leave the station you become part of the Star Wars world. This is accomplished through props, actors and a large amount of audience participation. 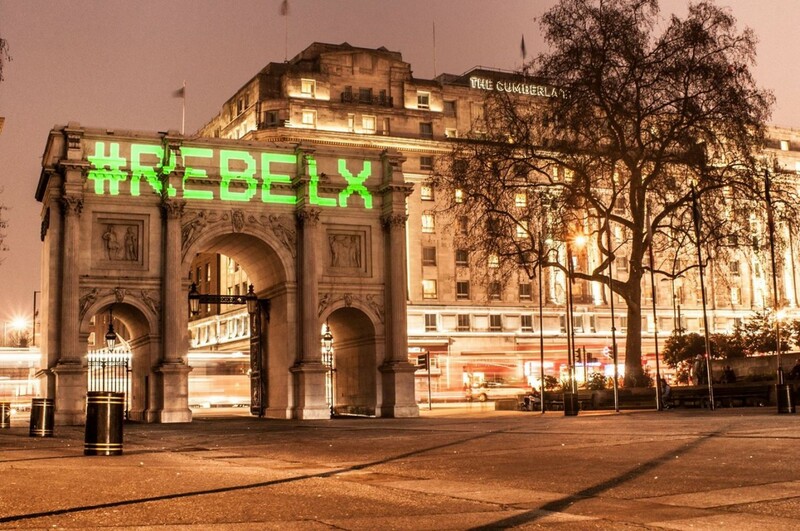 As a group the whole Star Wars community here in London seem to have taken this project to heart and this really brings the event to life. While costumes are not a must I have to admit that there were only one or two people who hadn't dressed for the occasion. From little Jawas (Utinni!) to "aren't you a little short for a stormtrooper" kids to adults dressed as rebel pilots I found the cast of hundreds of guests to really make the event special. Yes, actors bring some of your favourite characters to life but it's the guests that bring the world to life. A word of warning to anyone who does attend. Until you reach your first world there is a distinct lack of bathrooms. So if you need to go then it is probably best to do this before you enter. 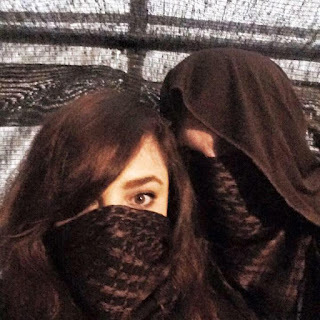 Additionally, there are no cameras allowed (and so there are a distinct lack of pictures for this review) and you have to seal up your phone. I thought this was a good thing, although you don't get the chance to take the memories with you, if everyone was walking around with their phones and cameras out it would have ruined the illusion that the Rebel X guys and girls were trying to create. Finally, you are not able to take any food or drink in with you, and you can only pay on card once you are inside, so make sure to finish all refreshments before you enter and have your Galactic Credits easily accessible. Once you reach the first location you get the chance to grab a bite to eat and there are drinks available in locations that have been lovingly recreated. While some food items are expensive the drinks are reasonably priced and you will want to get a few of them as it does get quite hot at times. If I could recommend one item to eat it would be the pork dumplings on offer in the far right corner of the first location, you will see a recognisable vehicle nearby to let you know that you are close to the right food stall. You will spend the majority of your time in this first location but the time flies by quickly as there is so much for you to do and explore, also keep an eye out for interesting individuals walking around. There is the opportunity to trade with some of the actors and they all stay true to character throughout. The second location also has a lot to explore but we did find it difficult to get around as it felt a bit more crammed and less organised than the first location. If I get the chance to go back again I will definitely take some more time to look around this area. As the evening continued I found myself forgetting that we were actually there to see a movie! The world, so lovingly created, truly draws you in and you can easily forget about the real world you have left behind. I have heard people describe it as a "theme park for adults" and that is very true. I have spent my fair share of time playing, and working, at Walt Disney World in Florida who pride themselves on creating a bubble you live in while you are at their parks and Rebel X achieve the same feeling, if on a smaller scale. With the main event, if you can call the movie that, drawing near Rebel X have one final surprise for you. 15 minutes before you start to make your way to the movie screens they hit you with a big bang of entertainment that leaves you hyped up for the movie you are about to see. 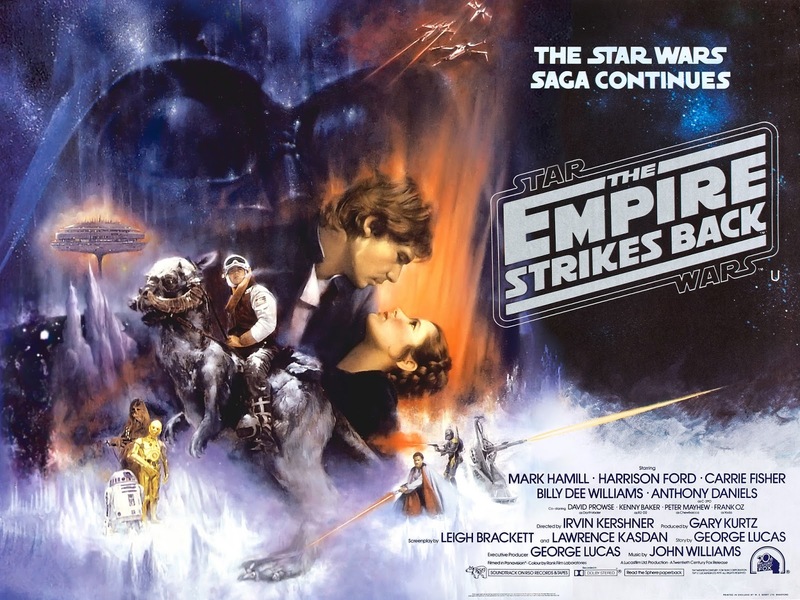 John Williams' music booms out of the speakers and you feel like a kid again getting to go see The Empire Strikes Back for the first time again. The massive screens, there are 3 separate screens to make sure everyone gets a great view, are set up with ceiling mounted projectors but they don't lose the quality. A warning to all Star Wars fans like me, this is the 2004 special edition version of Empire but it is the least heavily edited of the three so George Lucas didn't really ruin it as much as he did with some of the others (Damn you Hayden Christensen). You get another opportunity to buy drinks and snacks here with a bar set up to your left, if you are facing the screens, and there should be enough seats to make sure that you can sit with all of your party. As the movie starts up expect a cheer from the crowd as they once again get involved in proceedings. Even those in attendance who aren't massive fans of Star Wars will struggle to avoid a cheer the first time Han appears on screen, or boo Boba Fett or any other number of key moments in the film. You are drawn in and as you are surrounded by the dedicated Star Wars fandom you can take your lead from them. I must admit that one drawback is the price of admission, GBP 75 a ticket, which does sound quite steep for a visit to the cinema. But you can clearly see that the majority of this has been reinvested in the product on offer, it is also a similar price to a number of tickets to West End shows and you would not get the same immersive experience in the theatre, although these can be good too. Having to pay for food and drink is also a bit of a downer, but as everything is served in a way to keep you in character it doesn't feel like it is a total money grab. To close out, I would highly recommend that you attend this if you get a chance. Doubly so if you are a fan of Star Wars. You don't have to be in costume for the event if you don't want to but, honestly, you do not need to be worried about the embarrassment of being in costume at this event, 99% of the people there with you will also be in costume. Throw away your British sensibilities, let your hair down (or put it up in doughnuts if you want to feel like Leia for the night) and just re-live those days where, as a kid, when you dreamed of grabbing a lightsaber, fighting stormtroopers and flying an X-Wing or the Millenium Falcon into battle against The Empire. I still do! So it's been a busy few days if you are invested in Games Workshop and their games in any way. 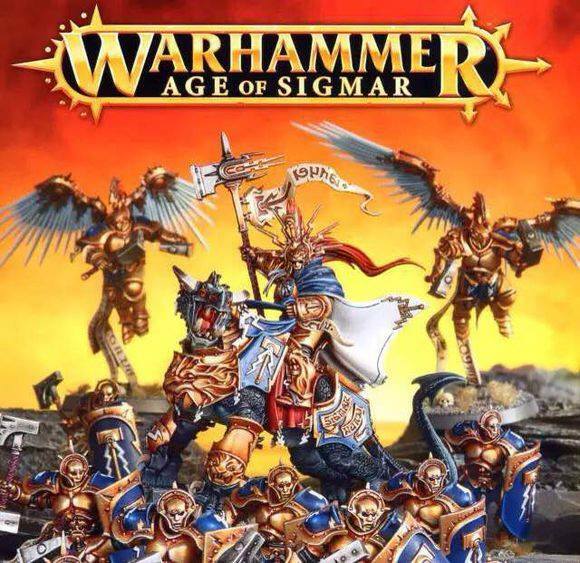 On the tabletop we have seen the release of Age of Sigmar, GWs brave new direction with their fantasy offering. Needless to say (just take a look at the Internet forums) it has divided opinions. 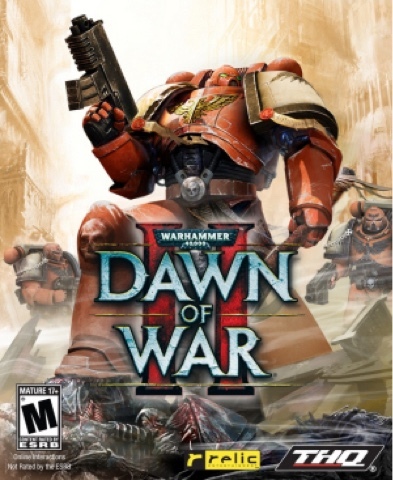 In other news Sega have registered the Dawn of War 3 internet domain causing much excitement for the fans of the series. But before you start grabbing your Waaaagh banners and choppas you might want to know this. The domain was originally registered in 2011 and this latest activity could just be a case of Sega protecting their property and preventing some internet troll from squatting on their domain. 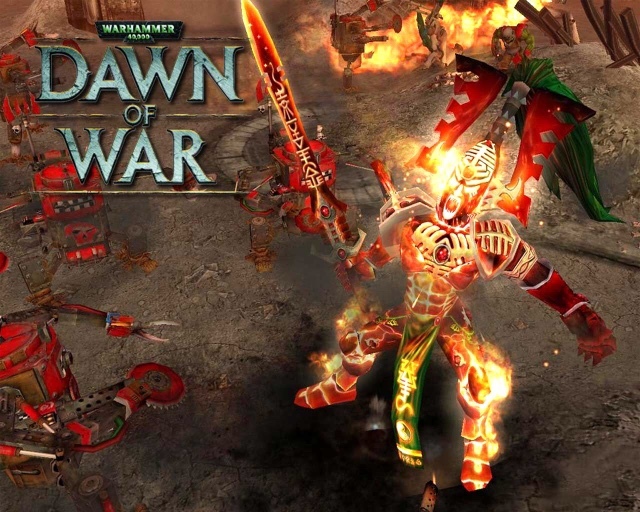 A new entry for the Dawn of War franchise is increasingly possible though. The team that produce the game have been very quiet since the release of Company of Heroes 2, and in previous press releases another in the DoW series has been hinted at as a strong possibility. Considering the success of DoW2 another game in this squad based RTS series would be an attractive proposition to all stakeholders and there seems to be enough of a community out there for sales to be strong again if a decent game is released. 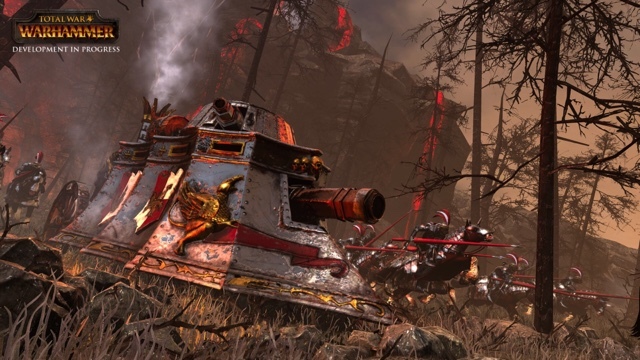 In the realms of Warhammer Fantasy the upcoming Total War title appears to be ticking along nicely and paying no attention to the Age of Sigmar storm that has been unleashed. Unfortunately they may be creating a storm of their own with only 4 playable races in the initial release. 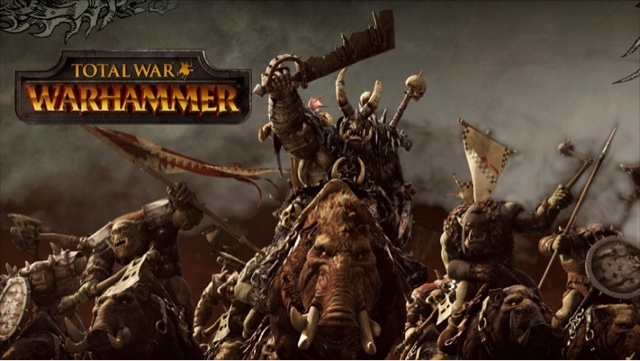 Other races will follow in the months after the release date but a number of players are unhappy about having to pay for a number of DLCs to get races that have been a part of Warhammer lore and legend for years. However, these gamers may have to put up with that considering it will be one of the few remaining links to the old world that they love and saw destroyed before the release of AoS. Creative Assembly themselves are massive fans of the original Warhammer universe and I expect them to make a good job of it, they have been taking on extra staff to make sure that the team can dedicate all their energies to the game. 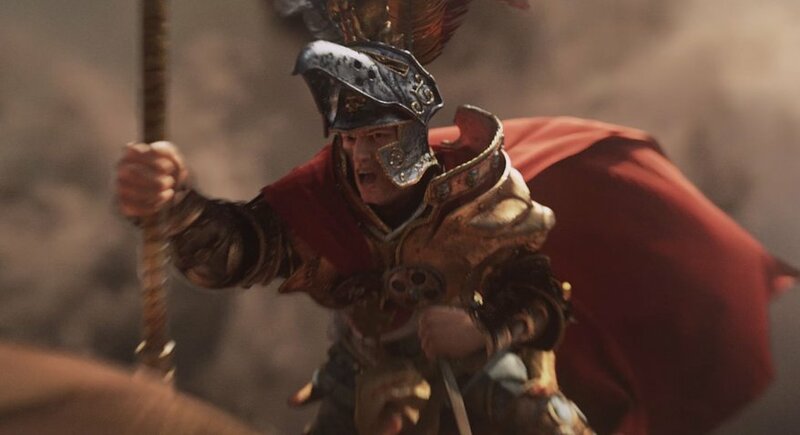 The Total War series has, on the whole, been a success in the world of strategy gaming and if anyone can breathe some life back into the old world it is these guys. Even if we have to pay for every downloaded breath. 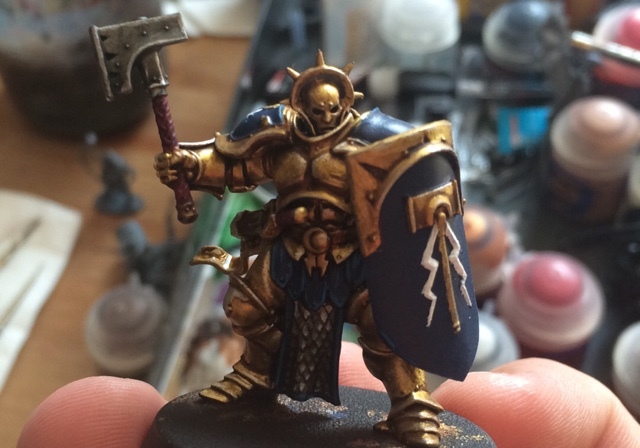 Age of Sigmar: The Review - The good, The bad and The very ugly. So let's start with what is probably the most important thing to remember about Age of Sigmar. Forget everything you remember about Warhammer 8th edition, it will do you no good here. This game is a totally different beast and it needs to be approached as such. Games Workshop have decided to reboot their fantasy line before but this is the most drastic reboot that I can remember. As pretty much everyone is aware now, the sales for Warhammer Fantasy were not great and so GW have taken the decision to create a new system with a "cheaper" and easier to understand entry point. For me looking in that is what Age of Sigmar is, an entry point for this new game. There is not enough content available for this to be a full release and I would fully expect to see further releases that will develop the game beyond the four pages of basic rules that were released yesterday. This release is clearly important to GW with the amount of effort they are putting in to pushing it with the community. 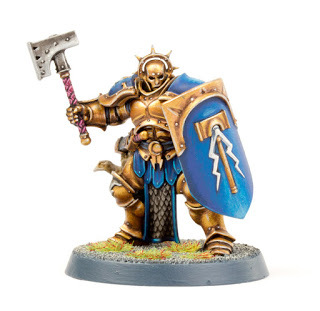 There have been pre-release copies sent out to websites to review (unfortunately we were not one of them) and a free Stormcast Eternal model is being included with this weeks White Dwarf. Additionally, all of the rules and warscrolls are being provided to the community free of charge. I don't think I have ever seen GW provide this much free stuff with any release so they must really want this game to be a success. So as we have mentioned the free rules let's take a look at what we have received. We will discuss the armies, units and everything that that entails a bit later, as there will be quite a bit to discuss, so I will move onto the first section "The Battlefield". The battlefield that you are fighting on now has some significance. The reason for this is that different realms can provide boosts to certain armies and abilities and it adds an interesting tactical wrinkle if you are playing a story driven game or campaign. There are seven mortal realms available to choose from based off of the old winds of magic from WFB from what we can tell, these aren't detailed in the rules themselves. Additionally, there is now a handy dice table to help you with the amount of terrain to set up on your table, splitting the battlefield into 2 foot by 2 foot squares. A D6 table randomises what each piece of terrain on the table does, ranging from causing wounds to boosting bravery. This could result in some interesting games of cat and mouse as players attempt to hunt down those elusive characters for victory conditions which we will cover later. There does not appear to be a limit on the number of battle rounds in a game any more, so if you and your opponent have an endless supply of models then one would assume that your battle could go on for time immemorial. 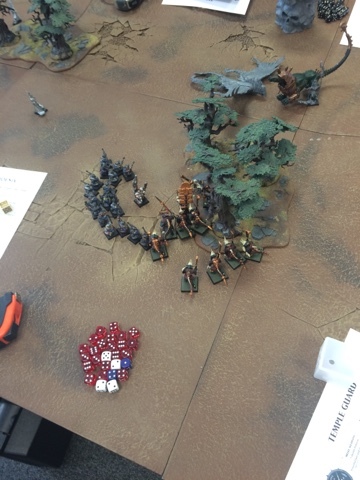 However, at the end of a battle such as this (yes it can end if you run out of time or someone has to leave) then you can claim a minor victory if you have lost a smaller percentage of your starting army, those models that started on the table, than your opponent. Another way to achieve victory is through the use of sudden death objectives, however these are only available if your opponent has a third more models, or more, than you. These sudden death objectives, assassinate, blunt, endure and seize ground, attempt to balance out an unbalanced game but giving you only one target to achieve while your enemy must destroy your entire army. Assassinate is pretty straight forward, you must pick a single hero, wizard, priest or monster to kill and regardless of what else happens in the battle if you kill this model you win. 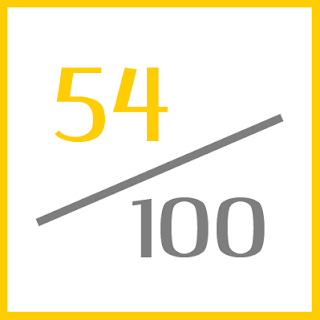 Blunt works similarly, although this requires you to kill a single unit of five or more models rather than a single model in the previous objective. 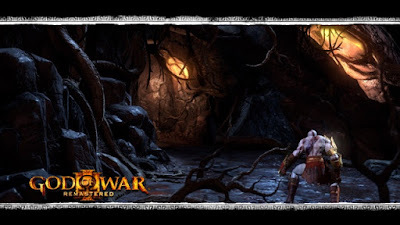 Endure and Seize Ground are two objectives that make reference to a number of battle turns, six and four respectively, and therefore suggest that in later editions of this game we may see a limit on the number of rounds in a battle. Endure requires you to have one model, starting on the table, survive until turn six at which point the game ends. This model can be anyone from Steve the skeleton to Karl Franz and GW leave it up to you to forge the narrative regarding their importance. Seize Ground only requires you to hold on until round four. Picking one piece of terrain in enemy territory you need to reach it and have one model within 3" of this piece of terrain by the end of the fourth round. This could be anything from a vital bridge, a la Saving Private Ryan, to a monument or group of trees, Wood Elves (Ed. -Aelfs of the Deep Woods) love their trees. Of these objectives I imagine that Assassinate will be the most popular as it should be the easiest to achieve with a smaller army. Although GW may be aiming for more narrative games with the other objectives, ultimately players are competitive and they will be likely to pick the objective that is most likely to see them win. With regards to battle rounds, you are now required to roll off to see who is going first in each round. This should result in a more balanced game as you will not necessarily have the advantage of going first or second in each round. Battle rounds are also split into 6 different phases, Hero, Movement, Shooting, Charge, Combat and Battleshock, in that order. The hero phase replaces the old magic phase of 8th edition and this time dwarves are not left out. The reason for this is that you do not only cast magic in this phase, you can also use the command ability of your general to boost your troops for the turn ahead. Command abilities only require you state that you are using them, while spells require you to roll two dice and beat the stated score for that spell. No more winds of magic, no more dice pool, just two dice for each spell and beat the required score. It is possible to dispell your opponents magic, this is called unbinding. To do this your wizard must be within 18" of the caster and have line of sight on them, you then roll two dice and try to beat the other players roll. This system is far simpler than the previous incarnations of magic in Warhammer but it does also take out a lot of the tactical nuances that this phase used to have. Movement and shooting are practically the same, although you no longer have to declare charges in the movement phase. The charge phase basically acts like the beginning of the assault phase in 40k. You nominate a target unit between 3"-12" of your unit and roll 2 dice, if the result leaves you within half an inch of the target unit then you have successfully charged. A key point to make here is that you measure distances from model to model, so if your opponent has a model with their sword outstretched you are measuring to/from the tip of that sword, not to the base. This does seem to be open to abuse and I expect you may see some players build models that are stretching out for dear life. The combat phase now has an additional tactical layer to it. The player whose turn it is gets to pick which unit attacks first, but once they finish attacking their opponent gets to pick one of their units to attack before the first player gets to do their second attack, and the rest of the turn continues like this. 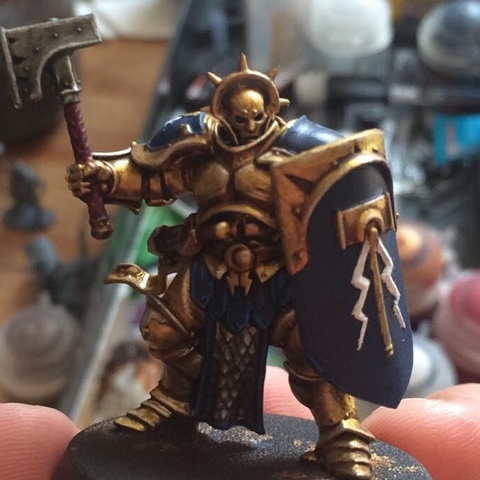 This is actually one of the best additions to the game that Age of Sigmar has made as it keeps both players fully involved even if it isn't their turn. You also have to pick which units attack carefully, it's not as simple as just completing each separate combat any more. Instead you can try to knock out a unit that is buffing another unit at that time, or you can knock out a supporting unit to try and save your general if you are playing a sudden death game. A key point to remember is that every unit within 3" of a combat can also pile into that combat, although it cannot do this if it failed a charge. This is a good way to keep every unit on the battlefield involved and you will also need to keep a close eye on your movement to make sure you can take advantage of this, while also stopping your opponent from doing the same. Unfortunately, a downside to this is that combats can become messy with multiple units getting drawn into a fight and then being stuck there for the rest of the battle. 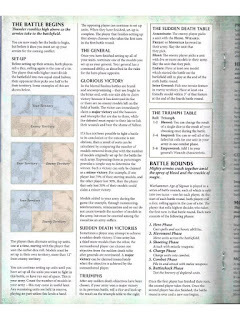 Combat resolution now has its own phase, Battleshock, that works like the crumble rule for the old Undead armies, although both sides have to take the tests so there is no benefit for winning combat any more, besides killing off more of your opponents units. In the Battleshock phase you take the number of men lost in that particular unit and roll a dice adding the result to the number of dead for a total. If this total exceeds your bravery (leadership) then you remove that many models, they run away or die. You can improve your bravery by 1 for each rank of ten models you have, I use the term rank loosely as you do not need to keep them in ranks and can just try and get everyone piled in in a great big bundle. Another simplification that has been added to the game is the fact that you no longer need to refer to table to see what you need to roll to hit or to wound. These have set values that you need to roll to successfully hit or wound your opponent. 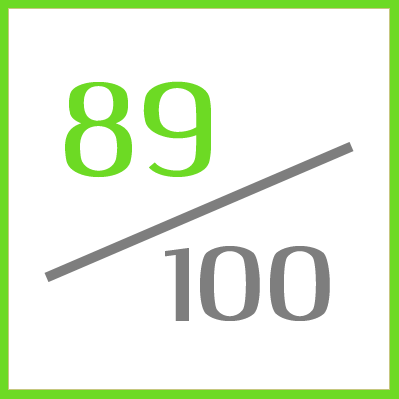 For special units, such as heroes or monsters, these values can change based on the number of wounds they have taken. This doesn't overly simplify the game and should speed up the phases it affects, it also makes each combat important as you no longer have an untouchable unit in combat, Steve the skeleton can kill Karl Franz if he gets a lucky swing (or thunderers can kill Teclis as we found out in our game). Save rolls work the same, and can be improved by some magic, but rather than relying on a strength table to figure out how much you reduce their save by you instead get a rend value which makes their save more difficult by the stated value (-1 turns a 4+ save into a 5+ save etc). With most of the changes to the rules now discussed it is time to turn to the models, and GW have done a very good job with these. The sculpts are impressive and the models are very easy to put together so younger gamers should not struggle too much, which was the case with a number of the end time releases. 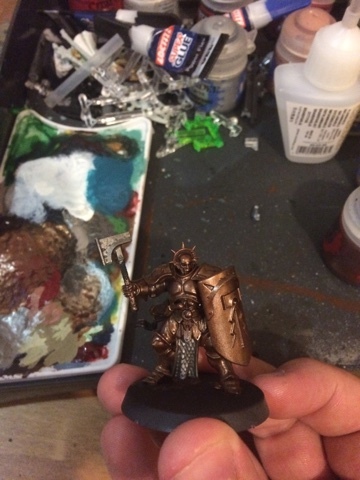 The new models do look an awful lot like some of their 40k counterparts (stormcast eternals = space marines with stormshields, prosecutors = sanguinary guard, blood warriors = khorne beserkers) but this should take away from the fact that, when well painted, they will look pretty awesome on the battlefield. Additionally, it is great to see that GW are still supporting the older models with the new warscrolls, although we may see some of these older models phased out for new models that fit the Age of Sigmar theme. The fact that these are available for free, and you no longer need to carry around 3 or 4 books with you just to fight a battle is a great selling point for the system although I get the feeling that this may change once the new system has settled in. Looking above there are a lot of positives to take away from the Age of Sigmar release but we also need to look at the other side of things. 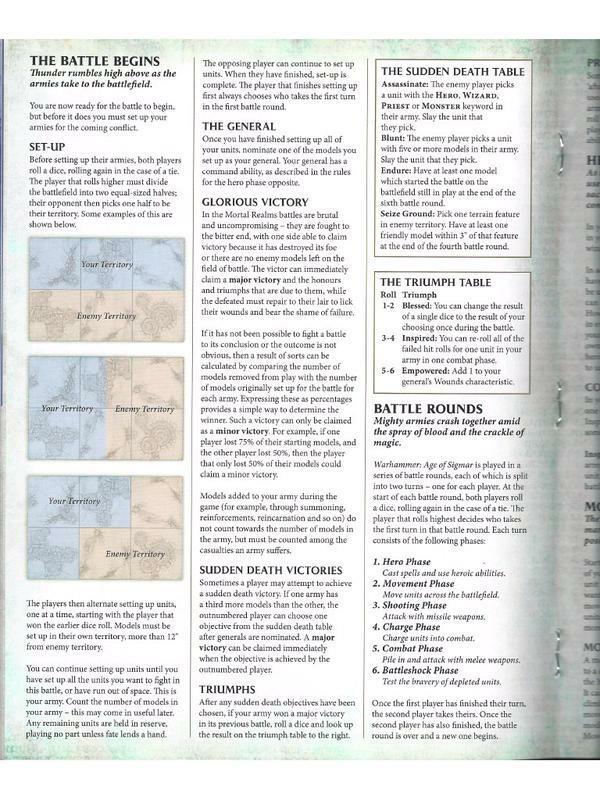 Firstly, GW have thrown out an awful lot of the lore and history that the long time gamers loved from WFB. There is no way around this, what we know and love has gone and it doesn't appear that it will be coming back any time soon. It is a risky proposition to completely reset a system and because this is the direction GW have decided to take they will know that a number of their long term supporters will turn away and not come back, they will just have to hope that the new fans that the system generates will be enough to offset those that leave. Furthermore, because this is an entry level system with only four pages of rules it really has been simplified, or dumbed down as others have dubbed it. You can't argue with this and it does feel like this release has been solely aimed at the age 5-10 bracket. While some parts of WFB were overly complex and reliant on an agreed interpretation of the rules, Age of Sigmar has run right down the opposite end of the spectrum and made everything so simple that even some board games will prove more complex than this new system. 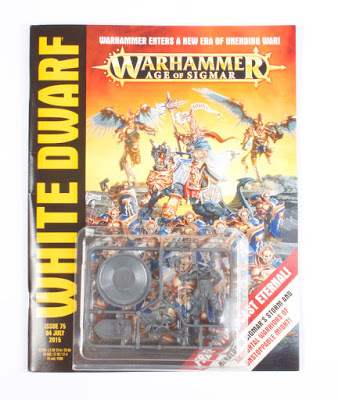 Unfortunately, GW also seem to have missed a trick if this is to be an entry level system as they have priced too high for what appears to be their target age bracket (£75, $125). Seeing as the Bank of Mum and Dad will have to fund this purchase it seems a bit of a high price tag to put on a new boxset when most parents will know that kids do not necessarily have the longest attention span. I can't see too many parents happy to fork out that much money for a new release when they can spend £20 on a set of 10 space marines with 40k, or a similarly priced set of models from the older fantasy range. Add the fact that the rules are free to download and there doesn't appear to be much going for the new set apart from the book with a bit more background information for the game, but that is pretty much available on the internet already. The new system also completely lacks any realistic way to scale up the battles to the larger encounters you would see at a more competitive level, and by this I mean anything outside of a friendly game with some mates. I expect we will see something to address this but I also expect that we will have to pay for it and as the system itself doesn't seem overly strong right now, for the competitive scene, I am not sure how many people would actually pay for the additional rules. If GW fail to address this issue then I can see a lot of the more competitive environments reverting, or in a lot of cases sticking, with the old 8th Edition ruleset but maybe adding some house rules to address the issues that GW should have addressed themselves. And it is this level of gameplay that GW should have been aiming to keep interested in this new system. Yes a new entry point was needed to bring fresh blood into the game but you shouldn't discard the long time fans as they are the ones who will keep the system going once the new crowd, mostly, get bored. And believe me, they will get bored. The funny rules for some of the characters are amusing early on in the game but by the end of turn two they are becoming tiresome. Even a young child will get bored of talking to their models to get a +1 bonus, or trying to guess which hand someone is holding their dice in, and no child will have a luxurious moustache. These rules were clearly added to entertain children and make adults smile but there is no way that their entertainment can last for any prolonged period of time, they just become boring and tedious. So this is where Age of Sigmar leaves us in terms of gameplay. 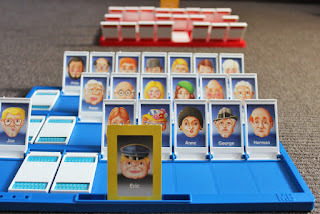 It is probably something that would be good fun to sit down and play with friends and family on a Sunday evening but after that you pack it away and probably don't look at it again for a while. There are the opportunities to build campaigns and narrative scenarios, GW have even added some rules for such events, but I don't see this game being capable of holding a crowd for a period long enough for this to take effect. The overly simple rules are good for bringing in the new crowd and getting them set up at the table quickly, but unless you have some level of challenge and competition in the game there just won't be the longevity that GW should be targetting with a new release. The free rules and warscrolls are in place and may appease some gamers and help to bring in some of the new blood, but it is not the cure for a poor system. It addresses the early symptoms of the problem, but doesn't deal with the underlying cause of the issue. A nice little starter, but the main course never arrived.